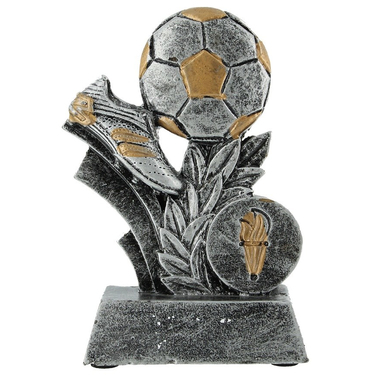 Soccer ball and boot trophy encompassed with wreath design. 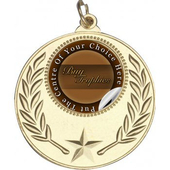 This trophy also has a flame embelishment, perfect for any sporting or soccer event. 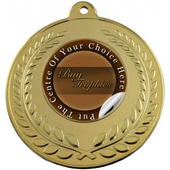 Engraving plate can be added to the base for your unique message.